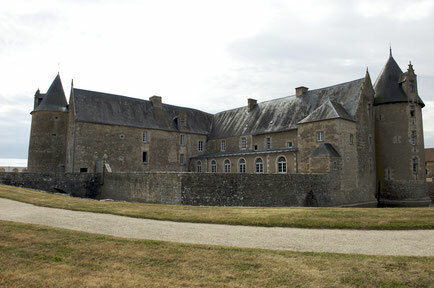 The Seigneurie de Saveilles predates the construction of the castle. 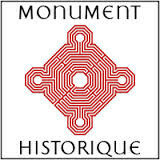 The first mention of this name that we know, is found in the founding article of the priory of Our Lady of CHATEAU-LARCHER, near Vivonne, south of Poitiers, by EBBON, qualified Count of Poitou and Duke of Guyenne, son of Adelaide de France, daughter of King Louis le Begue, Ode, his wife, and Achard, his son. 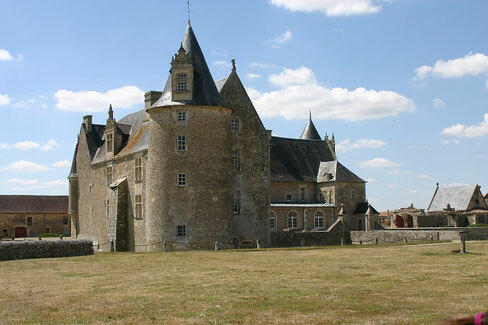 The foundation of this priory dates from the year 969 (Cartulary of St Cyprien of Poitiers). The fourteenth, sixteenth and nineteenth centuries live side by side. You will be able to discover and admire the exteriors, surrounded by moats in water, including two main houses arranged at right angles with a tower at their end. It is a square set, isolated from the mainland by large moats filled with water and supported by walls. It is reached by two fixed stone bridges, which since the Revolution have replaced the south drawbridge and the swing bridge with two arches to the north, formerly defending access to the castle. The entrance courtyard includes a long building of common and corner towers. - To stay several days in one of our three homes near the castle..